America: Melting Pot, Piñata, or ATM? The key phrase of this welcoming poem on the base of the Statue of Liberty is “yearning to breathe free.” Past immigrants, including my family on both sides, came to America to be free of the religious persecution and class system of the Old World. Many current immigrants also are eager to become Americans. But some are not. They intend to bring their old customs and prejudices with them. That is a problem. My mother’s family emigrated from Russia to escape persecution. I do not know what they were carrying when they arrived at Ellis Island. But one thing I know with absolute certainty: They were not carrying czarist flags. Real asylum seekers do not wave the flag of the nation from which they are fleeing. 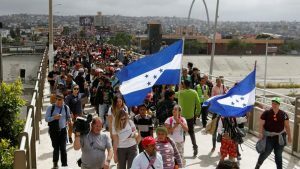 There is a name for a large group of people approaching a border, waving the flag of another nation: invaders. Without a “we” it’s not going to work. America used to be seen as a “melting pot.” Immigrants came to settle, establish a family, and become citizens. Many immigrants still come for these reasons, but now many others come only to make money to send – or take – back home. Wherever “home” is, it isn’t here. They see America as a giant automated-teller machine. But so do many native-born Americans. The current controversy over immigration raises an important question: What do we want our immigration policy to accomplish? This leads to a more basic question: What kind of nation do we want? How we see ourselves affects how others see us. “Melting pot” is now politically incorrect, but it had the advantage of indicating that immigrants were expected to integrate themselves into American culture. Public schools carried out this role – this duty – by means of classes in American history and civics. Our past leaders and history often were presented in glowing terms. Sometimes negative aspects were glossed over. As kids matured, there was time to study more deeply and see the other side. All this provided young people with positive role models. But now, the Boy Scouts and ROTC are being kicked out of schools. Current classes and books on American history often present negative images. If we fail to provide positive role models, kids may find negative ones. School kids no longer observe Washington’s and Lincoln’s birthdays. They no longer memorize the National Anthem, the Gettysburg Address, or the Preamble to the Constitution. Kids hear their nation and its past leaders described in negative terms. For role models, some kids now choose rappers or the local gang leader. We depict an American identity as ugly, then we are shocked – shocked! – when kids seek an identity in gang colors. Kids no longer hear patriotic music at school or on the radio on national holidays. They can’t identify Grant, other than the man on a fifty-dollar bill. They never heard of Alvin York, John Basilone, or our recent recipients of the Medal of Honor. They don’t know how much their freedom cost, or who paid the price for it. So they have no idea that they may be called on to pay the price themselves. We have not just stopped Americanizing our kids − we are trying to de-Americanize them. So we have no right to complain if some immigrants don’t raise their children as Americans. Neither do we. Who will defend us from foreign or domestic tyrants? 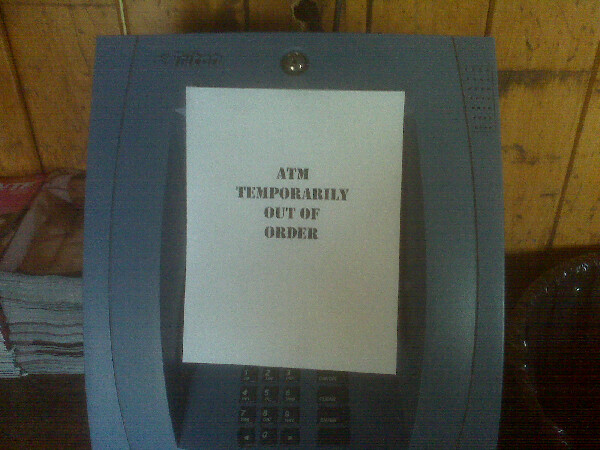 That takes citizens of a free nation, not mere users of an ATM. It’s just obvious you can’t have free immigration and a welfare state. Children who are firmly attached to their families are more likely to form lasting attachments to others, and to be healthier emotionally as adults. I believe the same is true for those who are firmly grounded in their national and religious traditions. Trees that grow deep roots are better able to withstand storms. And storms are inevitable. The idea is that bits of lettuce, celery, and carrot retain all their individual flavors and colors, yet are combined into an appetizing dish. The notion is attractive but simplistic. It implies that all you have to do is throw ingredients of any description into a bowl. There is no requirement that the ingredients be compatible, that they be in any proportion, or that they be healthful. Indeed, the salad need not even be tossed – that is, thoroughly mixed. You merely dump the ingredients into a bowl and forget them. Diversity of what? Diversity of ethnic or racial makeup? Fine. Diversity of religious beliefs? Good, so long as they are compatible with liberty. But diversity of political and ethical systems? The term “diverse” could describe a mob believing in political extremes of Right and Left, and in ethical systems ranging from religious fanaticism to radical environmentalism. But they would be only a strife-torn mob, not a nation. If “diversity” is what you want, visit the Middle East – you’ll get a large serving, but it is likely to cause severe indigestion. Another analogy, which I reject strongly, is a piñata. Here immigrants and native-born alike take sticks and hit the piñata as hard as possible, then grab for the goodies that come falling out. But when there are no more goodies, then whom or what will they hit? Children playing with a piñata are charming. Adults using America as a piñata are self-destructive. And immigrants who disrespect our Constitution and want to replace it with the ways of their homeland will be destructive of our republic. Do you really believe that America will remain America in anything but name, if our nation is saddled with the Sharia law of the Middle East, or the corrupt ways of Latin America? Question: If America is so racist that “it has racism in its DNA,” and “its health-care system is broken,” why do so many people want to come here, and why is it an act of kindness to let them? I believe the best analogy for America is a “stew pot.” Here you add bits of meat, potato, and vegetables with no rigid recipe, but with a sense of proportion. As the stew is heated, the flavors mingle. Each element retains some of its original characteristics, but it also takes on the flavors of the other elements. The result is a whole that is greater than the sum of its parts. And as the “stew pot” simmers on the stove, you add new ingredients – for example, beans and rice, or Asian noodles. The essential nature of the stew remains, but the flavors change in a subtle way to reflect newly arriving guests. You must keep the pot warm, yet not let it boil over. You must add new ingredients, and – most important – keep stirring to blend the new ingredients with the old. Effort and attention are required. The stew does not prepare itself. But the ingredients must be added slowly, in reasonable amounts, while stirring. Dumping in large amounts of unknown new ingredients, and not bothering to stir, is sure to create an unpalatable mess. Isn’t that exactly what we are doing now? “Diversity salad” has no assurance of healthfulness, but it requires little effort, so it appeals to those who are too lazy to cook. On the other hand, a national “stew pot” can keep us all well nourished. But we have to keep stirring. We have to care enough to work at it. That’s the key question: Do we care enough? Whatever immigration policy we adopt, it will be aimed at producing some result. What kind of nation do we want? Do we want a nation at all? Or will we be satisfied to sit idly while we are globalized, multiculturalized, multilingualized, de-Americanized, and in the end dehumanized? Do we want to continue to be citizens of a great and good nation? This provides a homeland, a language, liberty, ideals, and role models. But it also carries heavy responsibilities, including loyalty in times of trouble and, if need be, military service. Or will we be satisfied to be users of a giant ATM? This carries no responsibilities, but it confers no rights. All it provides is money – until the machine runs out of cash and breaks down. All of us, immigrants and native-born alike, have two choices: We can be citizens, with all that this implies. Or we can merely be users. The future of our nation depends on our choice. But will Sunday’s headline read, “Outspoken Trump Opponent Kills at least 11 in Synagogue Attack”? If I had won the Mega Millions jackpot, I would bet the entire amount that the Times headline will NOT be that. “All the news that’s fit to print”? No, all the news that fits we print.